Learn to Play the Barca way! 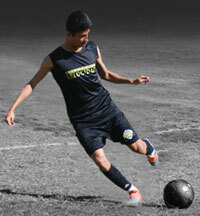 To develop elite players within a true academy system, based on an international philosophy of training. This training focuses on player development without the pressure of winning and encourages the player towards advancement, creativity and comfort with the ball, while demanding perfection but not expecting it. Tryouts for the 2016/17 season have been completed. There may still be open positions for some teams. If you would like to request a tryout, please see the tryouts page for more information.